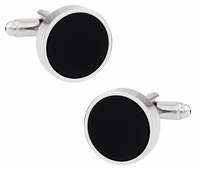 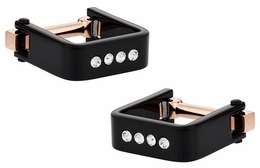 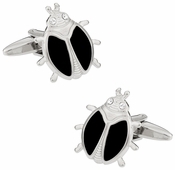 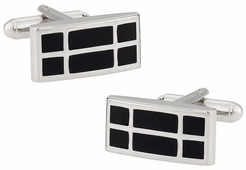 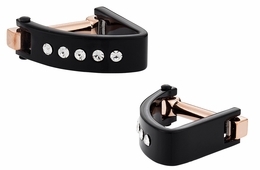 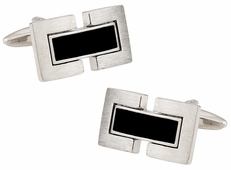 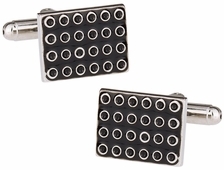 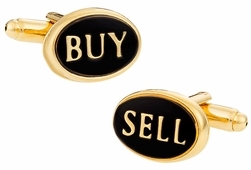 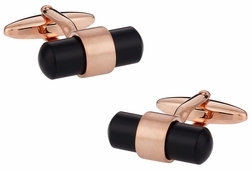 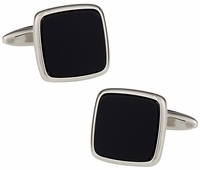 Black cufflinks are the ultimate in men's fashion. 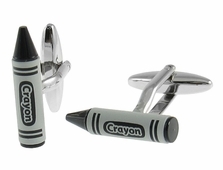 Color reflects a lot about a person and his personality. 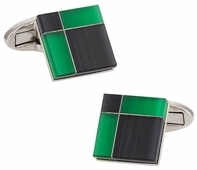 Different colors are believed to have different meanings, significance, and effect on a person's emotions. 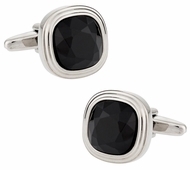 While there are many favorites, one color that remains the undoubted, all time winner is, black. 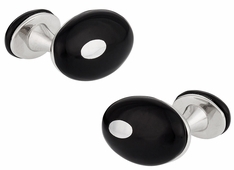 Different cultures and communities perceive the color black in different ways. 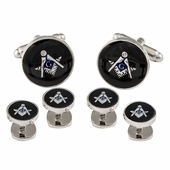 The meaning ranges from the highest power and authority to the deepest mysteries of the night. 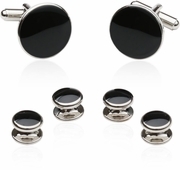 Black is the color that demands respect and black is also the color used to give respect in some cultures. 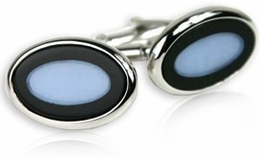 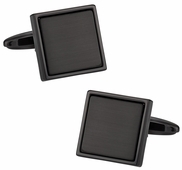 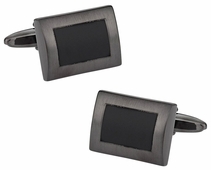 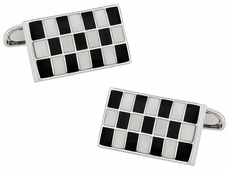 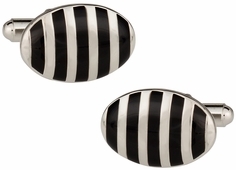 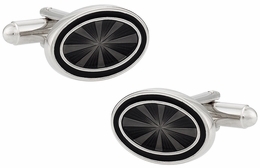 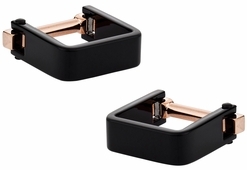 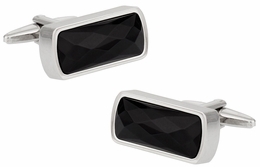 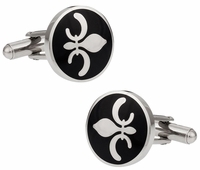 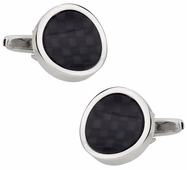 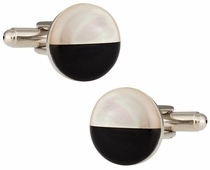 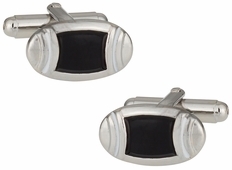 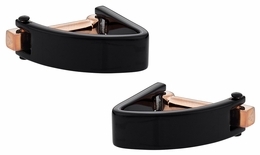 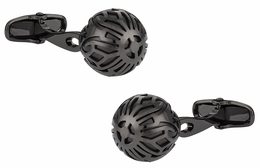 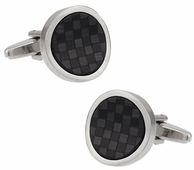 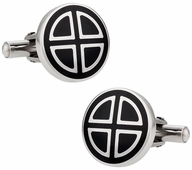 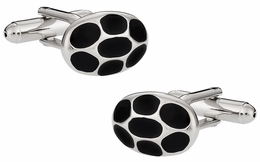 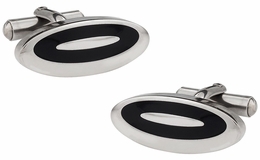 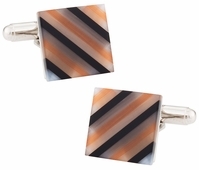 Without a doubt, the most popular black cufflinks design would have to include genuine onyx. 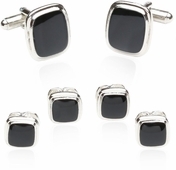 A naturally occurring element, black onyx is sought after for men's accessories as it is the most rich, and formal of materials. 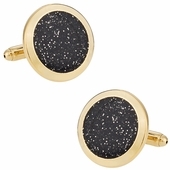 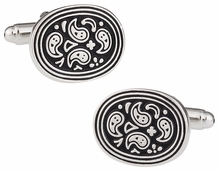 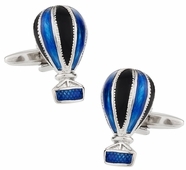 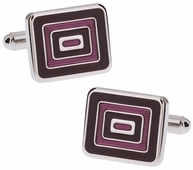 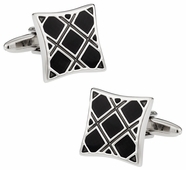 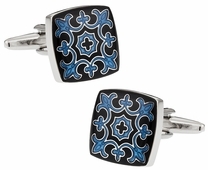 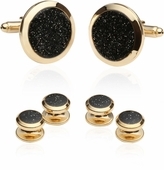 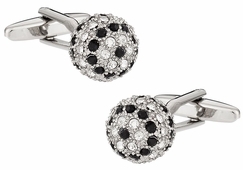 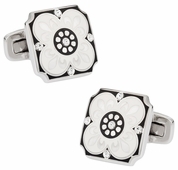 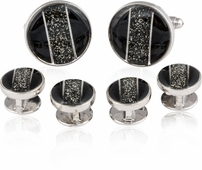 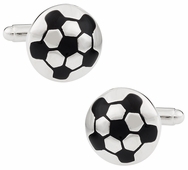 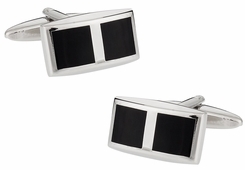 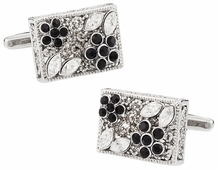 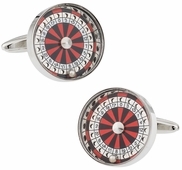 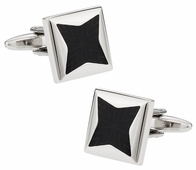 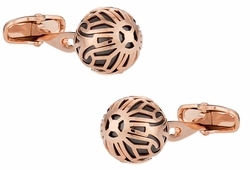 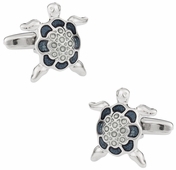 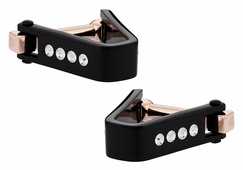 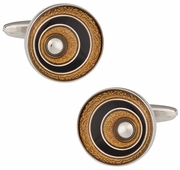 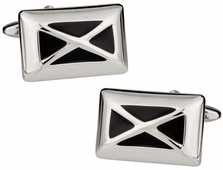 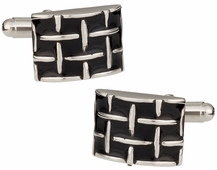 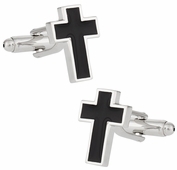 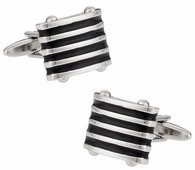 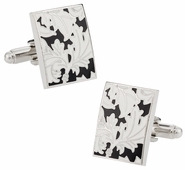 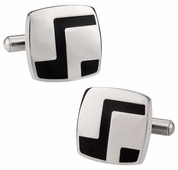 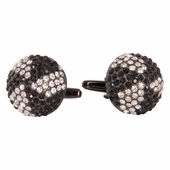 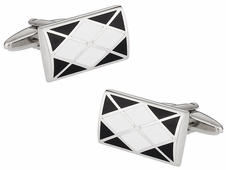 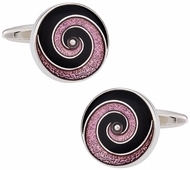 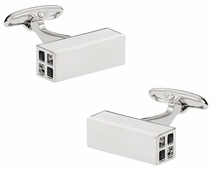 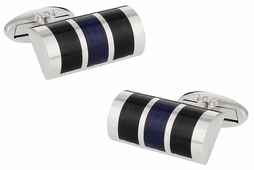 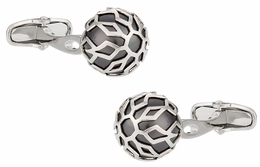 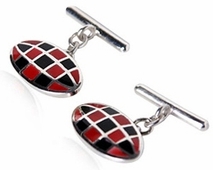 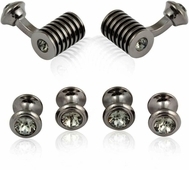 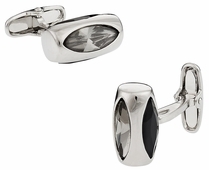 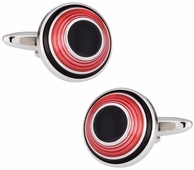 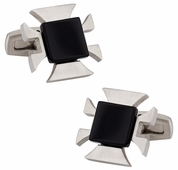 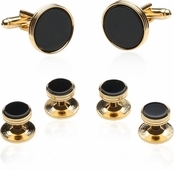 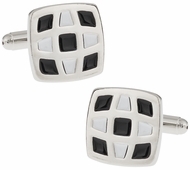 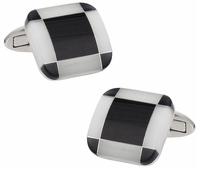 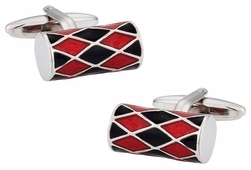 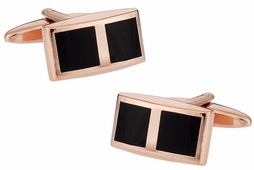 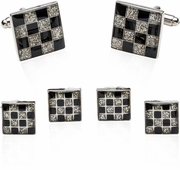 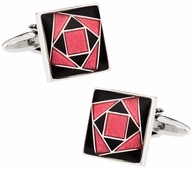 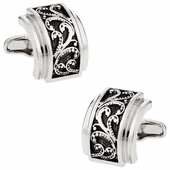 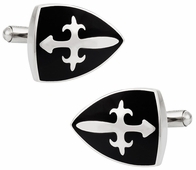 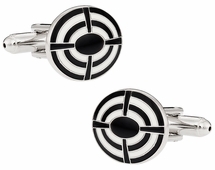 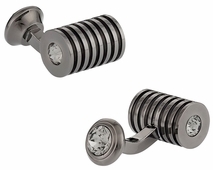 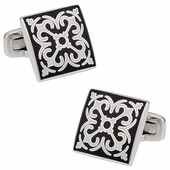 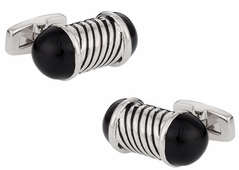 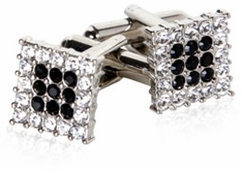 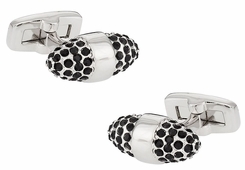 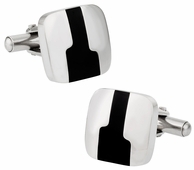 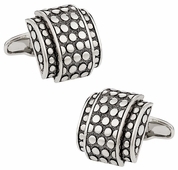 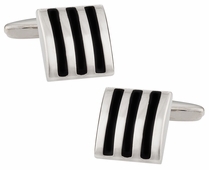 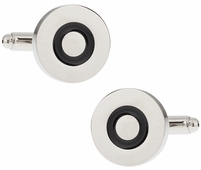 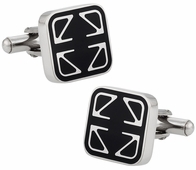 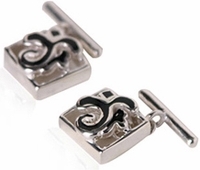 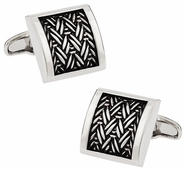 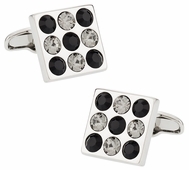 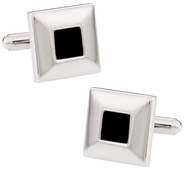 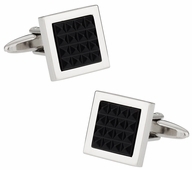 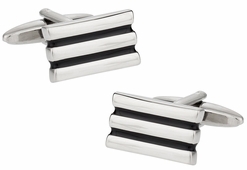 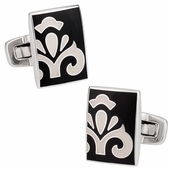 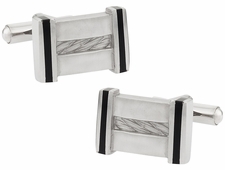 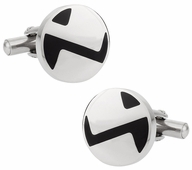 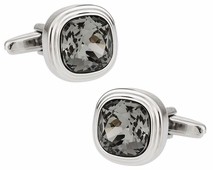 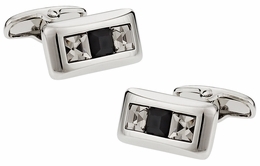 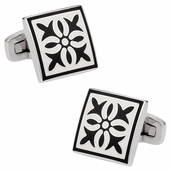 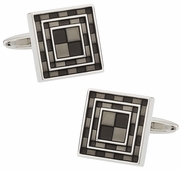 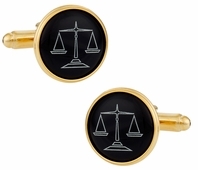 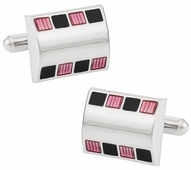 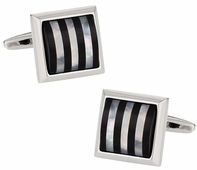 A classic set of onyx cufflinks and studs is a true benchmark from which all other designs are compared. 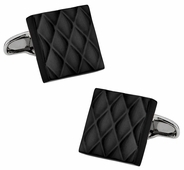 If you are one of those people that rely on black to show (or hide) you personality, Cuff-Daddy has the perfect black set for you. 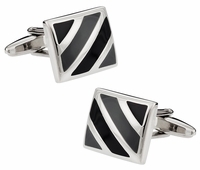 The black gunmetal designs or the banded blacks are perfect for any occasion and will go with almost everything you have. 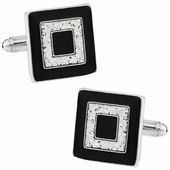 Black is often used as a color theme in classy or formal evenings. 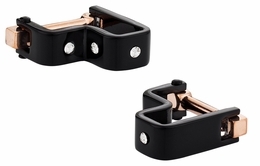 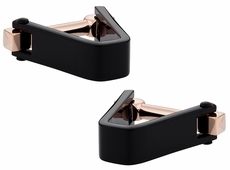 For such occasions you can find the perfect balance between class and business with our range of black cufflinks including the black fiber optic wave cufflinks. 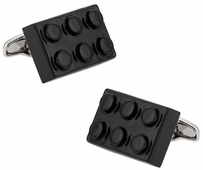 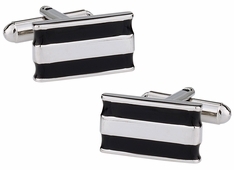 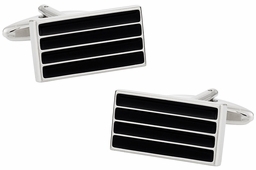 If you are looking to make a bold statement at work or with a client, the stately black cufflinks are your best friends. 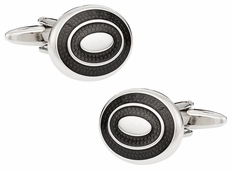 Our collection offers enough designs and options to bridge the gap between the formal authoritative black and the gracefully beautiful black. 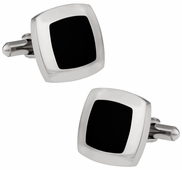 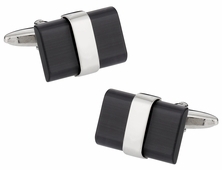 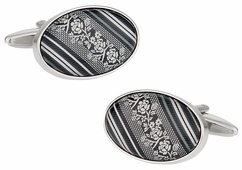 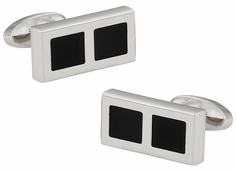 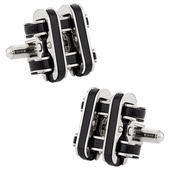 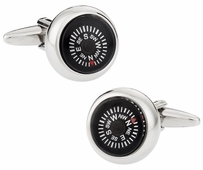 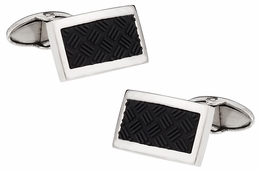 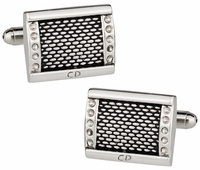 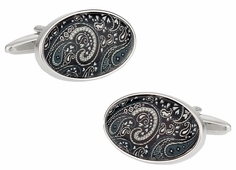 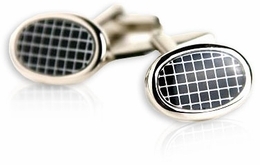 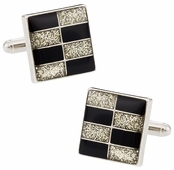 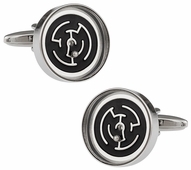 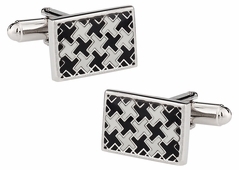 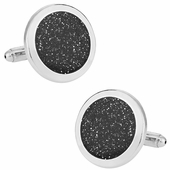 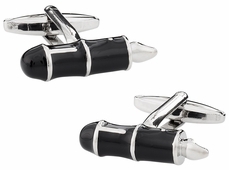 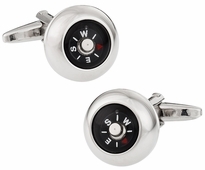 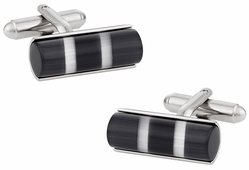 If you want to maintain a look that's classic and refined, you can't go wrong with black cufflinks. 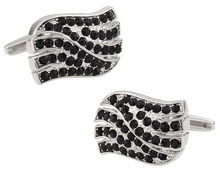 Black will never go out of style. 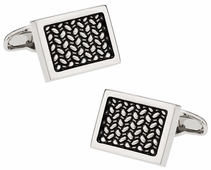 Tasteful and timeless, these accessories will snazz up your sleeves like nothing else. 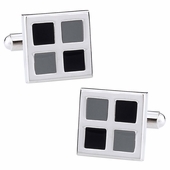 They're ideal for groomsmen gifts, but they can also be used for any other occasion that requires a sophisticated wardrobe.